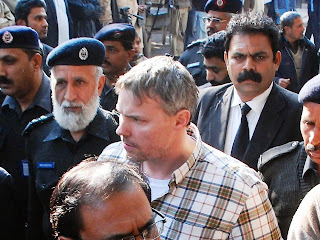 United States is threatening and Pressurizing Pakistan for just one man Raymond Davis who killed 2 Pakistanis in Lahore. United States is demanding Immediate release of Raymond Davis by claiming that he is a Diplomat so he has Immunity but Pakistan is not ready to free Raymond Davis. Pakistan has made it clear that the Case is in Court and whatever decision will court take will be accepted. America has also announced to stop Dialogues with Pakistan. The Dialogues where starting from 23rd February but American refused to do Dialogues to show its anger for not releasing Raymond Davis. America which keeps on shouting about Justice its double standards are exposed once again. To save its one man America is do all this while it has killed hundreds of Civilian Pakistanis in illegal drone attacks.